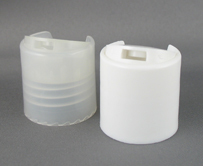 Dispensing caps offer a more convenient option for dispensing your product than regular continuous thread closures without the expense of a dispensing pump. 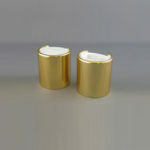 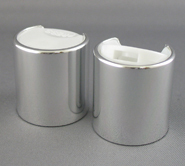 Our dispensing caps come in a variety of styles to suit any of your packaging needs. 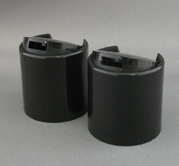 Many of our dispensing caps can be ordered with either a ribbed or smooth wall and an unlimited choice of custom colors. 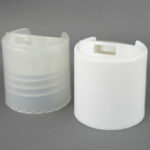 Dispensing caps can be supplied as unlined or lined.